On her way to London and New York next week, I got to sit down with the beauty for a cup of coffee in Cape Town’s Kloof Street. South Africa is her safe space where she rests and spends time with her boyfriend and family after busy fashion weeks abroad in hubs like Milan and Paris. At the moment, she mostly works abroad. CHECK OUT: Our Instagram stories @W24_sa for #4questions with Ansolet. Unlike her modelling idol Kate Moss, Ansolet wasn’t discovered 'IRL' but in a more millennial way - Instagram. 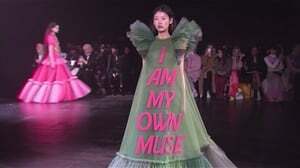 But is this a story like so many others where a doe-eyed girl from the countryside is thrown into the fast-paced and sometimes unsafe world of modelling and high fashion and is desperately treading water, trying to stay afloat as she tries to adapt to this new demanding and unforgiving lifestyle? No. For some reason Ansolet Rossouw doesn’t seem to fit this mould. She is young, yes, but confident without being cocky. She seems to know herself and plays to her strengths at all times. She says “It’s funny, but it’s not all about looks.” A strange thing for a model to say, yes. But she goes on to explain how the little things matter and how they’ll ultimately make a big difference to your career. She has walked Paris Fashion Week shows, but never before had she done the much-coveted Chanel runway. She says she’d gone to castings for Chanel in the past, but hadn't gotten cast yet. This year, she was determined. 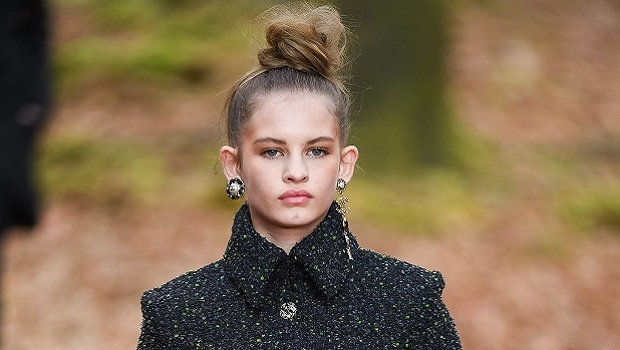 She explains that Karl Lagerfeld, the creative force behind the house of Chanel, was at the casting for the 2018 Autumn/Winter Ready-to-Wear show recently held at Paris at Fashion Week. And this time she told herself, “This is your chance, Ansolet”. She went up to the man and introduced herself. After that she got the call, and she was in. There are so many pretty faces and being beautiful will get you work, yes, but not for very long, she says. Ansolet says that at some of the shows or on shoots you can be treated like a doll at times, but that you should never be one. Your personality must always shine through. Even when you do your runway walk, think about your signature look in shoots (that 'frown' is fierce AF, gurl) and when you dress 'off-duty' outside the shows for eager paparazzi snappers. “You have to be yourself,” she says. good to be home ?? You can walk the way they tell you to walk or smile the way they tell you to smile or dress like all the others, but it will show if it’s not natural. She keeps stressing the reliance on self. As she entered the line up before walking out at Chanel or Dolce & Gabbana, she says, she feels the way she did before her very first kiss. Something she also noted on her Instagram Live story this week when asked about bullies. She answered saying that no matter how young, even when she was just 16 entering the world of modelling, she wasn’t bullied. She always held her own, never allowing anyone to get to her. Her confidence is impressive. We all though do know that bullying isn't that simple. But her life during fashion week is a stark contrast to that of an average 16, 17 or 18-year-old. Only 200 000 times more nervous! But it's the good kind. The kind that excites you to the point of utter elation. “Walking out, the lights hit you, and it’s your moment.” She says your mind goes blank, and it’s over so quickly. I asked her what she believes designers and photographers like most about her. “My ears and my chin dimple.” She says she never liked her ears and wanted them pinned back growing up. But when Fanie Nel of Fanjam Model Management discovered her, they were one of the first things he told her he loved about her. Now she's grown to love them too. And she gets a lot of love about where she comes from. She says when people hear she’s South African they always rave. South African models are rare, but adored. One of her role models is Candice Swanepoel, so I ask her whether she also aspires to walk for Victoria’s Secret one day. She says it’s a bit of a cliché model answer to say that that is 'the dream'. But as a child she dreamed of being in pageants and says her dreams have been far surpassed now, so much so that it hasn’t quite sunk in yet. "I am focusing on my high fashion career now, so VS is not in my thoughts now," she adds. It means she's very aware of every step of where she wants to head to. We wish her the best of luck and can't wait to start seeing her at all the top shows and on magazine covers!